Hey, y’all! Today’s card uses the Musical Season bundle — one of my favorites from the holiday catalog. That French horn makes me so happy. There are other instruments, too, but did you see the French horn? Sigh, I love it. I went with non-traditional colors for the card, just because I was tired of red and green when I made it. So I reached for one of my favorite In Colors instead. I love how Berry Burst looks with the silver! I stamped the olive branches in Berry Burst ink for a little tone-on-tone action. Then I added the strip of paper. I love those gold and silver snowflakes. Next, I heat embossed the sentiment in white. My focal point starts with the French horn. 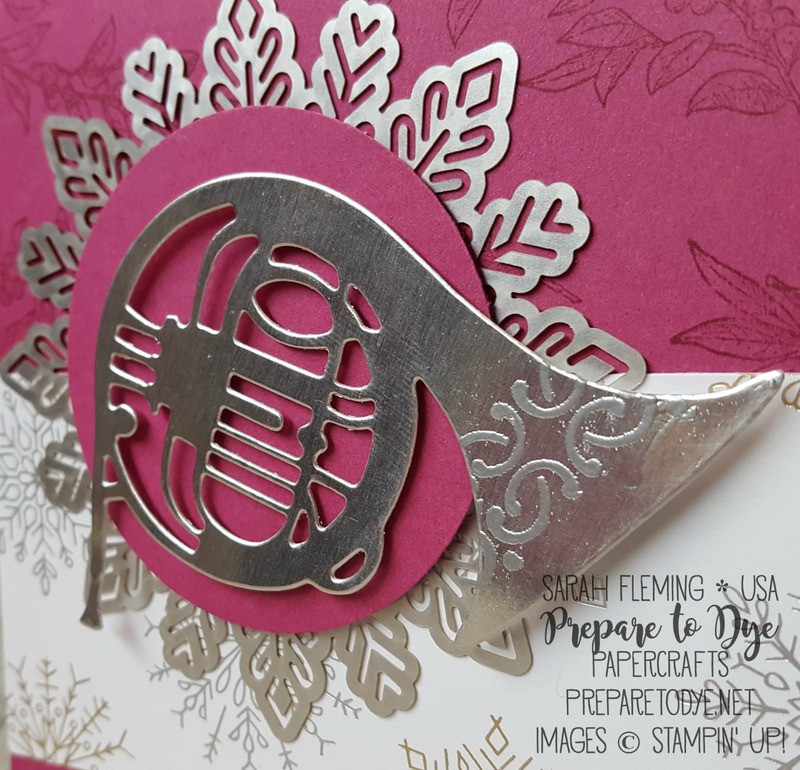 I cut it out of Silver Foil, then stamped the scrollwork across the horn with Versamark ink, then added the silver embossing powder and hit it with the Heat Tool to emboss it. Doesn’t the scrollwork make the French horn look extra Christmas-y? I think so. That’s popped up on Mini Dimensionals. Under the horn is a 2-1/4″ circle punched out of Berry Burst cardstock. That also is on Dimensionals. 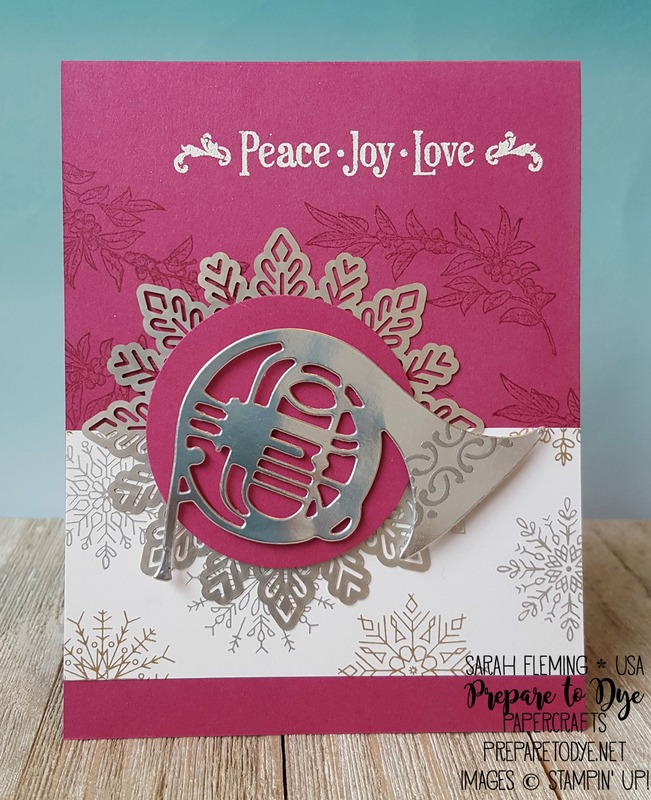 Under the circle is a silver Foil Snowflake. These things are addictive — I use them a ton! 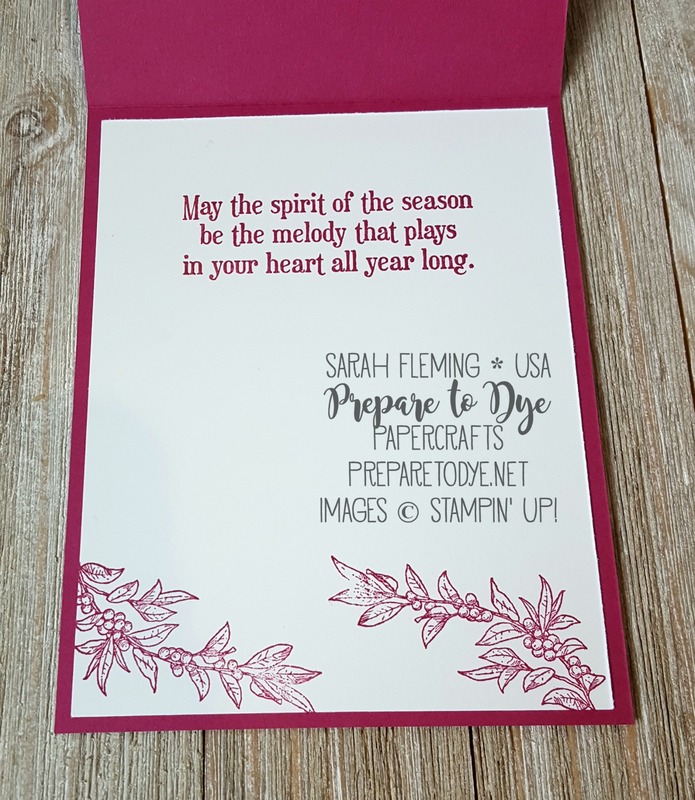 I stamped two more olive branches and the sentiment in Berry Burst on Whisper White for the inside. 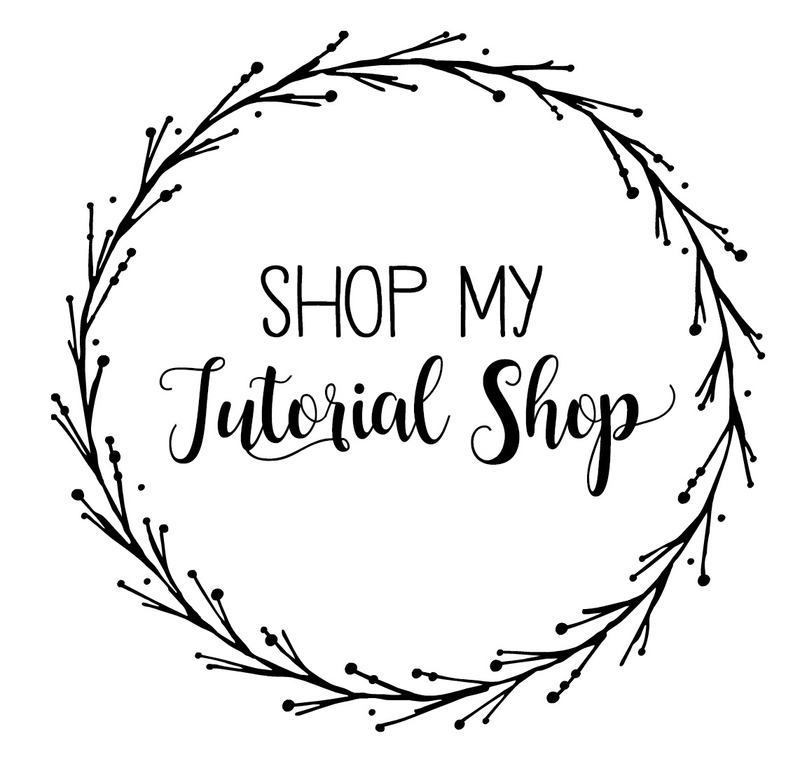 You can find all the supplies I used to make the card in my online Stampin’ Up! store. 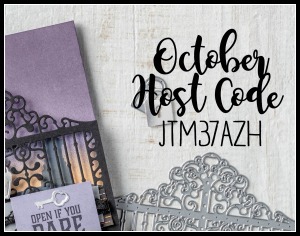 Make sure to use the host code (see below) when you shop so you get extra freebies from me.